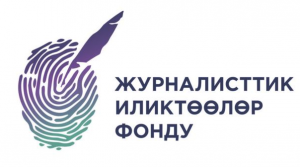 School of Data in Kyrgyzstan will hold a 48-hour data-journalism hackathon (#hackpoverty) at the American University of Central Asia (AUCA) on March 3-4. March 3 is the Open Data Day. The organizers are invited to celebrate it with data-journalism hackathon. Data-journalism hackathon is an event in which teams of journalists, students, software developers, designers, data analysts and experts will work the whole weekend on one issue. It is expected that there will be 50 participants and 10 mentors. 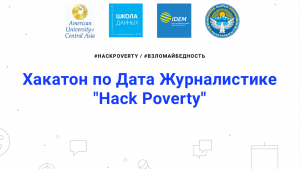 The topic for the upcoming hackathon is poverty. According to National Statistical Committee, one in four Kyrgyz citizens live below the poverty line. This means that these people earn less than 2,595 soms each month. Nevertheless, salary is not the only reason. Access to clean water, education, medical services, career opportunities - all of this affects the standard of living. How to overcome poverty in Kyrgyzstan? What are the main reasons of it? What can we do to change people’s lives for the better in our country? Is it possible to decrease expenses? How to deal with corruption? Participants of the hackathon will try to find answers to these and other questions using open data. Online registration: http://project533785.tilda.ws/ Organizers: The Public Foundation "School of Data" will hold the hackathon together with its partners - the State Committee of Information Technologies and Communication of the Kyrgyz Republic, the German non-governmental organization IDEM (Institute for Democracy, Media and Cultural Development) and AUCA.